Welcome to Day 965 of our Wisdom-Trek, and thank you for joining me. Thank you for joining us for our five days per week wisdom and legacy building podcast. 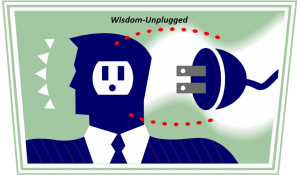 This is Day 965 of our trek, and it is time for our 3-minute mini-trek called Wisdom Unplugged. Thank you for joining me on this trek called life. This short nugget of wisdom includes an inspirational quote with a little bit of additional content for today’s trek. Consider this your vitamin supplement of wisdom for today. So let’s jump right in with today’s nugget. The true measure of success for a person is based on the levels and magnitude of obstacles, setbacks, temporary defeats, and even outright failures that they face in their pursuit of success. 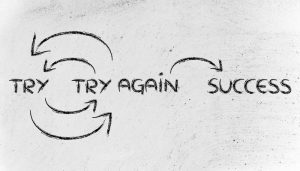 Any time we have a setback or failure, the natural inclination for all of us is to quit and give up. While that indeed may be the easiest course of action, and we can even justify or rationalize that it is most logical, those who choose this path will not succeed in much of life. Unfortunately, this is the choice of the majority of people. None of us should be satisfied or desire to be average or below average but to become all that God created us to be. We need to use our God-given talents and abilities to serve Him and to build His kingdom. 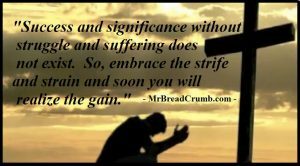 If we commit our actions to God, and continue on through setbacks and failures, ultimately we will succeed in our endeavors for Him. Proverbs 16:3 – Commit your actions to the Lord, and your plans will succeed. That’s a wrap for today’s Wisdom Unplugged quote. If you would like free access to my database of over 10,000 inspirational quotes, the link is available on the main page of Wisdom-Trek.com. As you enjoy these nuggets of wisdom, encourage your friends and family to join us and then come along tomorrow for another day of our Wisdom-Trek, Creating a Legacy. 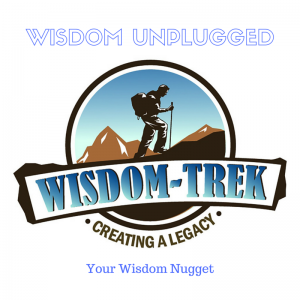 If you would like to listen to any of our past 964 treks or read the Wisdom Journal, they are available at Wisdom-Trek.com. I encourage you to subscribe to Apple Podcast or Google Play so that each day’s trek will be downloaded automatically. Never, never, never give up–so said Winston Churchill–when it looked so bleak for the British. It’s so easy to give up and so hard to keep going.